420 sailors get ready to learn how to sail under trapeze and spinnaker in preparation for a summer of racing at Okoboji Yacht Club. Learn to RACE! This series goes through the entire process Prep to finish. Learn how sailboat races work, the rules associated with racing, as well as the finer points of crewing in an racing environment. Great for people new to the sport and those looking to hone their skills - Open to the public. This is a course for any one is serious about sailing spinnakers on keel boats in a competitive environment - multiple platforms will be used. A course that will introduce students to a new regional club sport. You will learn about the format, time commitments, how to get your school involved, and spend time sailing in a 420. No sailing experience is needed for crew. ​NO SAILING EXPERIENCE IS NECESSARY! Dingy Tops and Salopettes keep sailors dry and comfortable in warm and moderate weather sailing. Look for features that provide zipper necks, rubberized collars and cuffs and always a pocket to hold gear in the front. Costs are driven by effective breath-ability of the fabric, from Polyamide to Gore-Tex, it makes a difference in comfort and sweating. Pricing is a broad range from $40 to $400 and unless you are wearing gear in warmer conditions for long periods, the low cost solution may work well enough for our short racing programs. Wet Suits for late Spring and Fall sailing is driven mostly by fit and neoprene thickness. These garments are critical in keeping sailors warm when water temperatures are typically below 70F and above 55F. Suits come in one piece as well as a two piece option giving sailors flexibility in those in-between seasons. Pricing ranges with pricing starting around $60 and up. PFDs (USCG Class III) The best life jacket is one you feel comfortable with eating dinner in! No kidding. If you can sit at the table and eat comfortably in a PFD having a full range of motion with no tugging or pinching you are close to a perfect fit. A large front pocket is great with a Less is More attitude on the design so snaps and adjusting straps don't get caught in rigging. we advise ordering a couple you like and return the ones that don't work out. Gloves are great and having a pair that feel right is critical. When I wear gloves, I personally like 3/4 fingers where I can feel the lines. Some sailors like full fingered gloves to protect those tender digits. Pricing ranges from $20 to $50. Cold weather options are made from neoprene and make life so much better for early and late season sailing. Gill, Zhik, Musto, Helly Hansen, West Marine, and others all offer great choices and a range of price points. See sites like Amazon, APSLTD, Vela Sailing, West Coast Sailing, West Marine and many others for great holiday pricing. Gift certificates are good for the 2019 Season and can be used to purchase any eligible programming or available merchandise. Redeemable by contacting OSC Program or Executive Directors during registration. 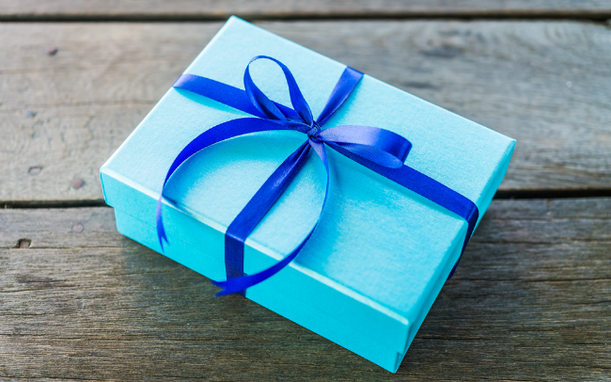 ​Whatever holiday you celebrate there is always a question of what to get a loved one for a gift. ​Let me tell you, we have been getting calls on help for those last minute surprises. Watches are a great start! ​The key s to have a watch that has a count-down function. Best are those that are adjustable for multiple fleet starts as well as can accommodate a 5, 3 and 1 minute sequences. Adjustable bezels to set compasses headings are fantastic, but hard to find. Pricing start at $20 and can go as high. Most god sailing watches are around $50-$75. Polarized glasses helps sailors see the wind - seriously a huge advantage. NO sailor should be without them! Pricing start at $15. For the more expensive glasses, get them on a leash! Games and Apps are available for sailors that want to stay on top. Everything from simulators to knot tying. ​We wish you a safe and wonderful holiday season. A curriculum of clinics with nationally recognized instructors provides students and staff with the latest techniques, drills, and information on performance improvements. Couple this with leveraged data, we quickly establish baselines to build lesson planning with our clinicians that is objective, personalized and drive results. 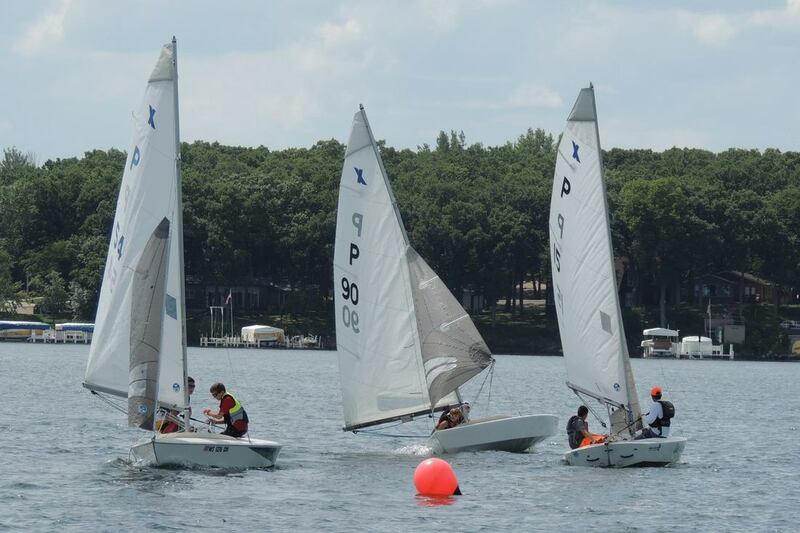 Okoboji Sailing Center is devoted to sailing for our athletes beyond the X Boat. We are developing sponsorship of the Iowa Great Lakes Region High School Sailing Team, a regional high school sailing club located in northwest Iowa. 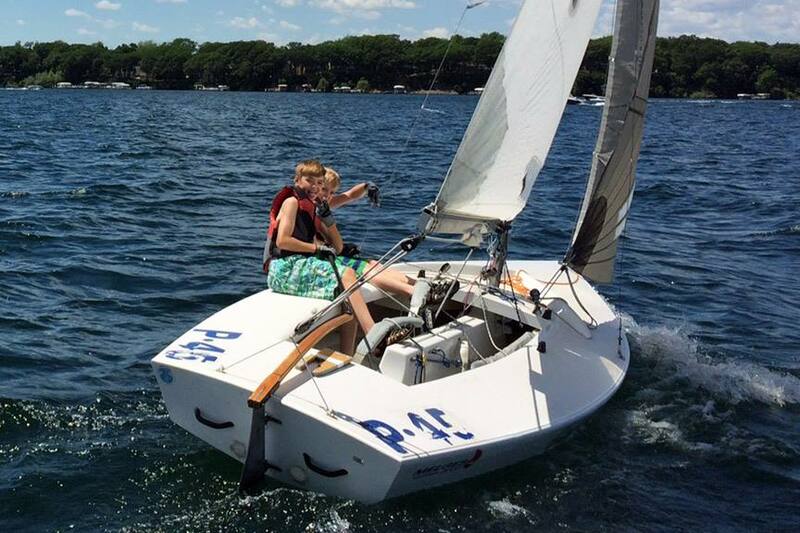 The Okoboji Sailing Center promotes fleet racing with our strategic partner Okoboji Yacht Club. ​OYC's racing series are the proving grounds for our student athletes, where they are able to demonstrate learned skills in real life conditions. 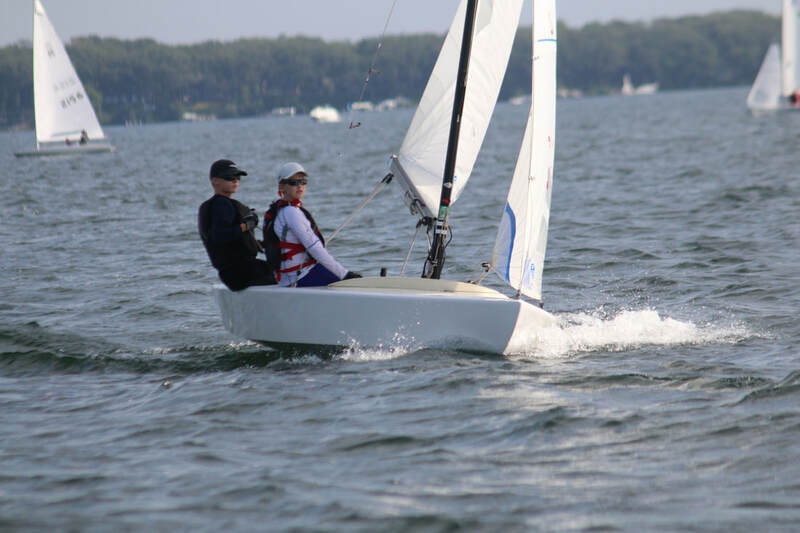 In addition to our local racing, we coordinate and sponsor coaching to many of the regattas offered within the Inland Lakes Yachting Association's (ILYA) throughout the summer. We see these championship level events as a capstone to our summer long training. We support and encourage all our athletes to participate in these fun opportunities as they build confidence, community and connections that will last a lifetime. If you like to feel the wind, to dive under a wave, and to walk barefoot along the beach you are close to art. Looking at the world in new ways to form ideas and to do something with them is what the Smooth Sailing Art Workshop is all about. See the shape of a sailboat, the shadows it reflects, and how the light is caught in the water as inspiration for art.